I just thought I pop on and share some new resources I have discovered and a few of the things I am currently working on for next quarter. First up, you simply must check out these beautiful illustrations from Sweet Publishing! I have been downloading and printing like crazy. These are just awesome and completely free! 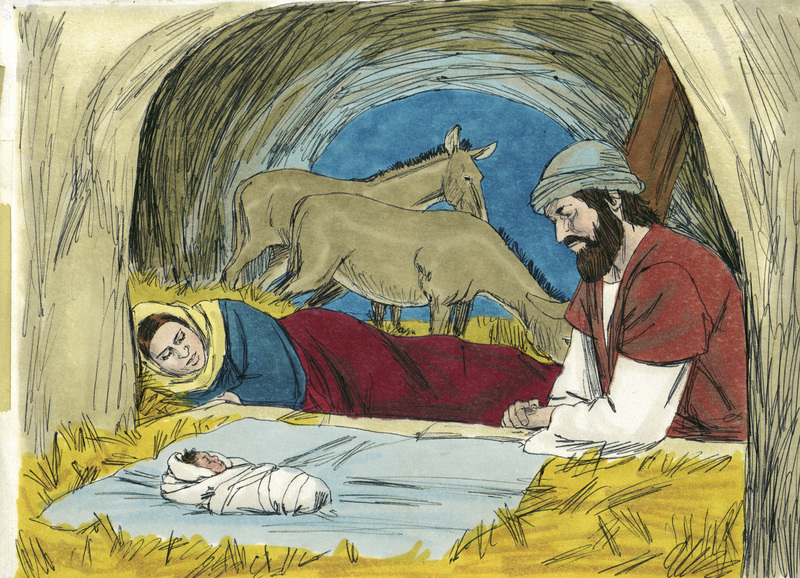 You can find illustrations for the entire Bible divided by book at Distant Shores Media. Another website/blog you simply must visit is Hands On Bible Teacher! She has so many wonderful ideas! You will find a workshop video and lots of teaching aids and visual aids that you make yourself. She even has a few things that she has put together available for sale. One idea I am using from this website is an Explorer Journal. I have 2nd through 6th graders in my class and this seemed perfect for them. Not too simplified and not too difficult. I am hoping it will engage them in our lessons and help them remember all about Jesus. Our quarter begins in January and it will be my first time to use Explorer Journals. I’ll be sure to let you know how it goes. Anyway the concept of an Explorer Journal is something like a scrapbook. I am using a three-ring binder. We have worksheets that we will put together and slowly fill our journals throughout the quarter. Some of the pages are a simple paste together followed by pages with questions for the kids to answer. One could also use word finds, crosswords, etc. I am hoping the written exercises combined with the visuals will aid in learning and be fun for the kids! One of these days, I’ll take some pictures of my book and share them. In the meantime, visit Bible Fun For Kids and you will find many ideas and things that can be used in your own Explorer Journals and/or lap books. Debbie Jackson provides lots of links and free downloads. I used a number of her ideas and pages in my Explorer Journal. Some things were perfectly suited to our study of Jesus Christ. Of course, we will have a quarter dedicated to parables and one to miracles so our study is going to be a little different plus I wanted to tailor our Journals to go along with our flashcards. Because of this I had to get a little creative. There all kinds of websites and ideas out there. I found that it wasn’t too difficult once my creative juices were flowing. Ms. Jackson also uses the illustrations from Sweet Publishing and she basically gives you her full lesson plan with illustrations and worksheets, etc. I found both her website and Hands on Bible Teacher to be truly inspiring! I simply cannot wait for the new quarter to begin!!! I started this blog with the intent of sharing craft ideas for use in teaching Bible class. Soon after our congregation began using the Engraving Heavenly Truths curriculum and I found myself doing less crafting. As we have moved through this curriculum, I have discovered several good resourses and wanted to share them with anyone who can and will use them. One great resource is Creation to Revelation. Here you will find a master disc of pictures that take you through the entire Bible. They can be printed and used as visual aides or you could let your students build a Bible timeline. You will also find a drill disc which has the 7 days of creation, 10 plagues, 10 commandments, etc. Another great resource is Apologetics Press. 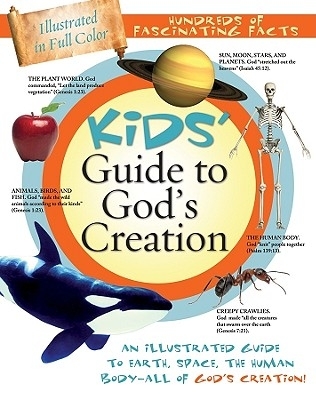 Here you will find a number of books that can be used in kids class as well as discovery magazine. 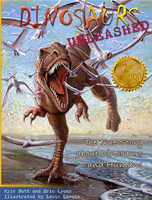 I purchased a copy of “Dinosaurs Unleashed” which was fascinating and quite useful. Here is another book that is just chock full of information regarding the creation. My kids loved some of the stuff we talked about in this book. It really fills one with amazement at all that God created. 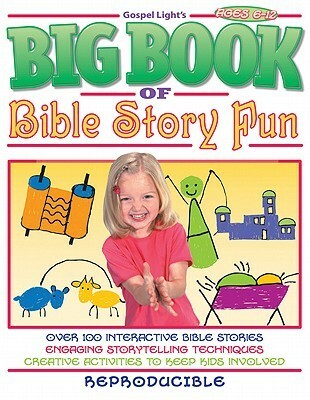 One more book that I think you will just love and find immensely useful is Gospel Light’s “Big Book of Bible Story Fun.” This book is written for 6 – 12 year olds. You will find drawing lessons, ideas for play dough and even telling the stories using hand movements. All of which are reproducible. I just love this book. I use the drawings nearly every week. One last thing I wanted to tell you about is a set of study books written by Bob and Sandra Waldron. They take you through a survey of the entire Bible. I am currently working my way through the Old Testament. These books are fantastic. They are full of information that makes it easy to understand the Bible. Everything is laid out in an easy to navigate format which is again easy to understand. I have learned so much. A friend loaned me her copies of these books. I am loving them so much and am so excited about them that I have ordered my own set. I can’t wait to finish the study and then work through it again. These books will be immensely useful in your personal Bible study. This in turn will make you a better teacher. After all, we can’t teach what we ourselves don’t know. I ordered my set of books from CEI books. You can also get them through the Engraving Heavenly Truths website. I hope you find these helpful and I pray all the best for your study of God’s Word and your bible class. I have taught preschool age bible classes for many years. Finding crafts and activities for this age group has never been a problem. Recently my husband and I began teaching 3rd, 4th, and 5th graders. I have found it quite difficult to find crafts for this age group, especially with only a 45 minute class time. I’ve been thinking that I’m not the only one teaching this age group. Others must be having a similar problem. The result is this blog. I want to share with others the crafts and projects I do find or create that the kids really seem to like. My prayer is that others may find this information useful.